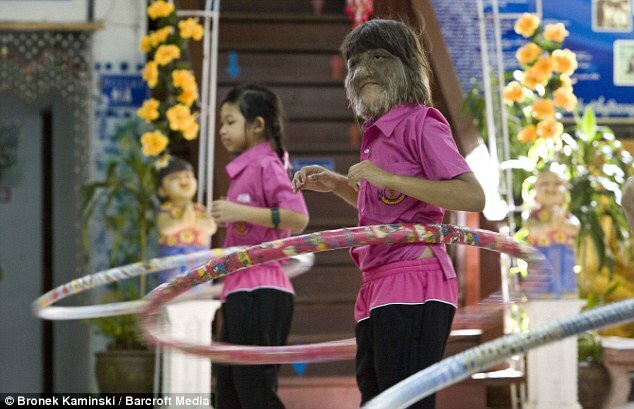 Her nicknames may include ‘wolf girl’ and ‘monkey face’. 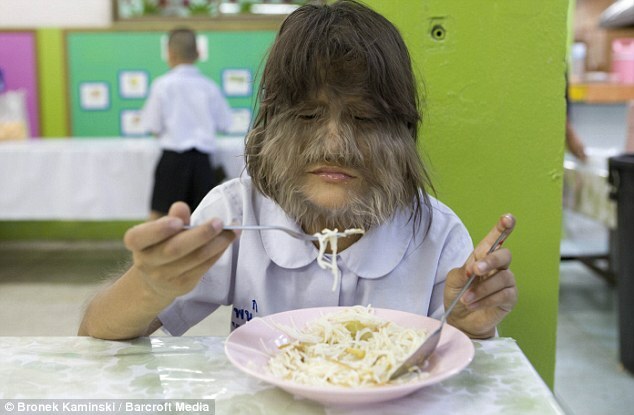 But Supatra Sasuphan insisted that she was, after being officially recognised as the world’s hairiest girl. 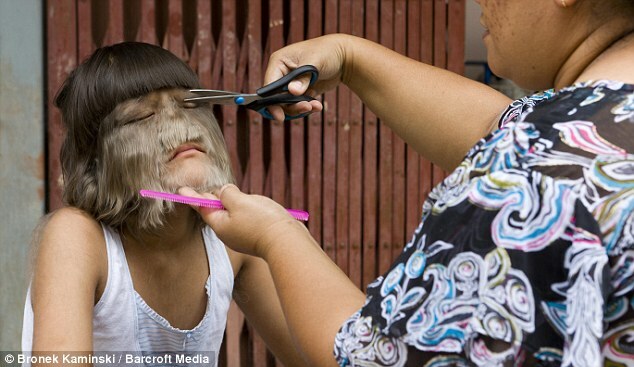 Supatra says she doesn’t spend time thinking about the rare condition she has that leaves her with thick hair on her face and body, a determination to live a normal life that makes her an inspiration to all who know her. But while most sufferers have been shunned, Supatra is embraced by her community, and is actually a popular and outgoing child. She said: ‘There were a few people who used to tease me and call me monkey face but they don’t do it any more. In other ways Supatra is the same as other children her age – she loves swimming, dancing to her favourite music and playing with friends. But Supatra’s future didn’t always look so promising. When she was first born she had to undergo two operations just to breathe. Supatra had another operation when she was 2-years-old and can now breathe normally. ‘When neighbours first saw Nat they asked what kind of sin I had done. I was very worried about what she would be when she grew up because of other children teasing her,’ he said. But Supatra’s sweet nature quickly won over people in her community. 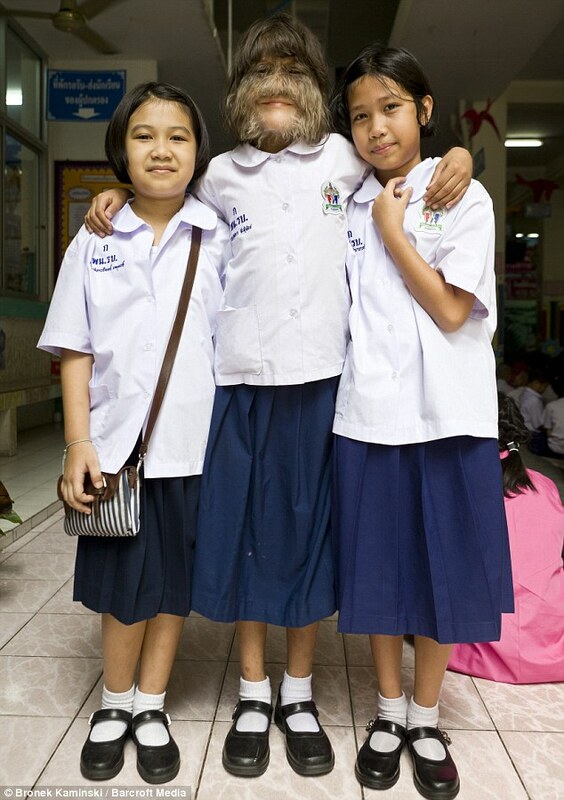 Sammrueng, a jewellery maker, said: ‘She gets along with others really well and is very generous. She has a lot of friends. ‘She is just the same as any other little girl her age. 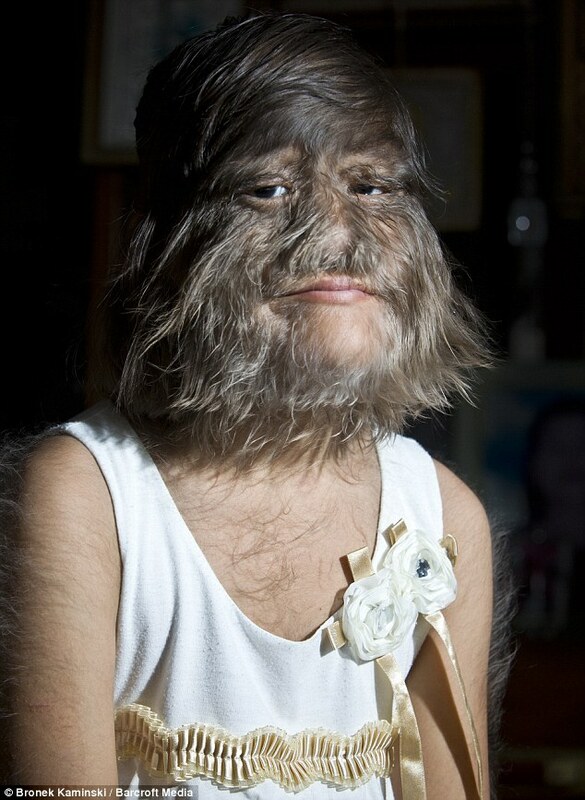 Doctors tried to remove the hair with laser treatment when she was 2-years-old but despite numerous sessions it kept growing back as thickly as before. 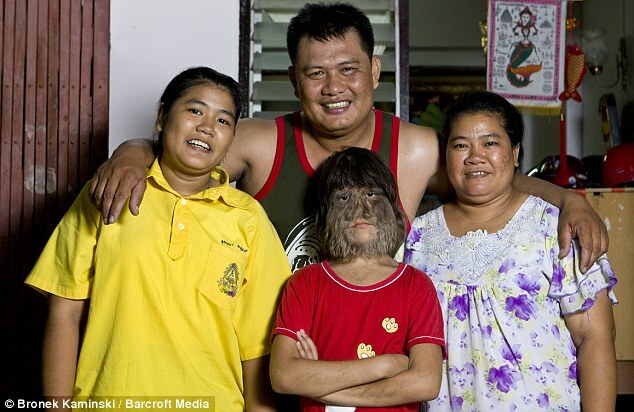 Supatra’s hair has got increasingly thicker as she has grown up so her mother has to cut it back regularly for her.